The Oude Kerk (“old church”) is the oldest building in Amsterdam, founded 1213 (>800 year old!) and consecrated in 1306. The wooden roof is the largest medieval wooden vault in Europe, and the Estonian planks (1390) claim some of the best acoustics in Europe. Rembrandt was a parishioner the Oude Kerk, his children were all baptized here, and his wife was buried here in 1642. It is the only building in Amsterdam that remains in its original state since Rembrandt walked its halls. 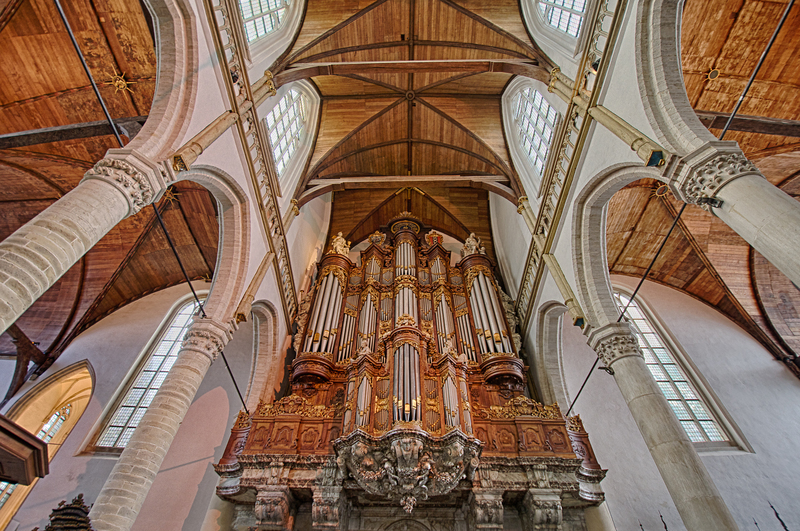 Above is the Vater-Müller organ, built in 1724 and regarded as one of the finest Baroque organs in Europe. It was acknowledged by the church Commissioners as “perfect.” Click here to see an interesting demonstration of the organ accompanied by a Taiko, a traditional Japanese drum. Roman Bikini Girls or Gymnasts in Sicily? Hidden in a wooded valley 3 km southwest of Piazza Amerina lies the Unesco-listed Villa Romana del Casale, a lavish ancient Roman villa which is decorated with the richest, largest, and most complex collection of Roman floor mosaics in the world! The villa was thought to have been built around the early 4th century AD, and was presumed to have been the country retreat of the Roman Emperor Marcus Aurelius Maximianus. The site was abandoned in the 12th century when a massive landslide buried the entire villa under up to 10m of mud, where it then remained (protected from the destructive elements and looters) for almost 700 years. It was not until the 1950’s that serious excavation work began to uncover the remains. What was discovered was the most elaborate collection of Roman mosaics in the world. Covering the entire floor of the villa, they are renowned for their vivid detail and intricate design as well as the range of subject matter and color. 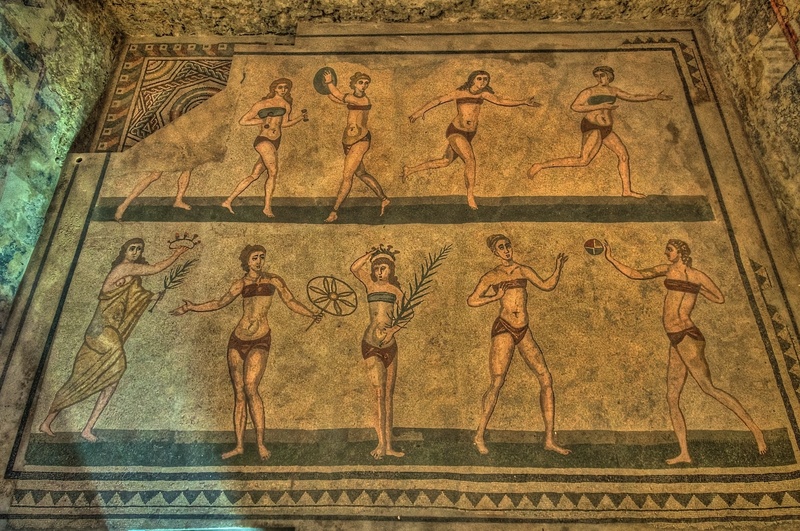 The most famous mosaic depicts 9 (originally 10) girls in bikinis who are playing games and working out with weights. This scene is thought to be a depiction of the resident Roman aristocrats penchant for sponsoring gymnasts to come to the villa and engage in teams sports. And who says the bikini is a 20th century fashion creation?!? This is the most unique and intact Roman site I have seen in all of Europe, and I consider it a “must” for anyone who travels the southern coast of Sicily! Stunning Roman Mosaics at The End of the Sicilian Rainbow! Next stop, Piazza Armerina and the amazing Roman mosaics at Villa Romana del Casale. We drove east from Selinunte on a day that was absolutely DUMPING rain, intending to tour the Valley of the Temples in Agrigento. The Valley is one of the most outstanding examples of Greek art and architecture on the costal areas of Southern Italy and consists of seven temples dating back to the 5th century BC. These include the Temple of Concordia, which, due to its excellent overall condition, is ranked amongst the most notable edifices of the Greek civilization existing today. The skies were still dumping when we arrived, so we were only able to get a quick peek before continuing our long drive east. We arrived in Piazza Armerina as the storm was clearing, and were treated to this amazing view of this 11th century town from our balcony. Piazza Armerina is the town which accommodates the guests who come to visit the nearby Villa Roman del Casale, which is the home of the richest, largest, and most complex collection of Roman mosaics in the world (see upcoming blog entries!). 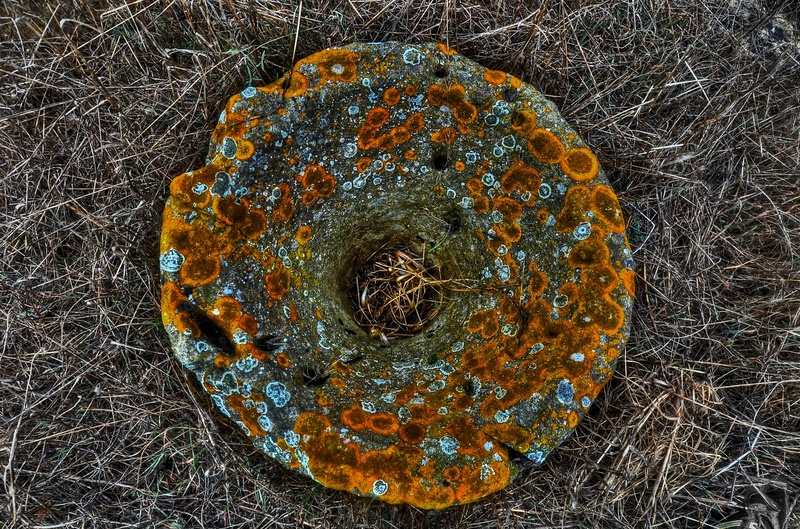 I came across this item while wondering around the piles of remains of the once great Greek city of Selinunte in Sicily. Image is HDR with additional touch-ups including selective desaturation of the grass with Aperture. 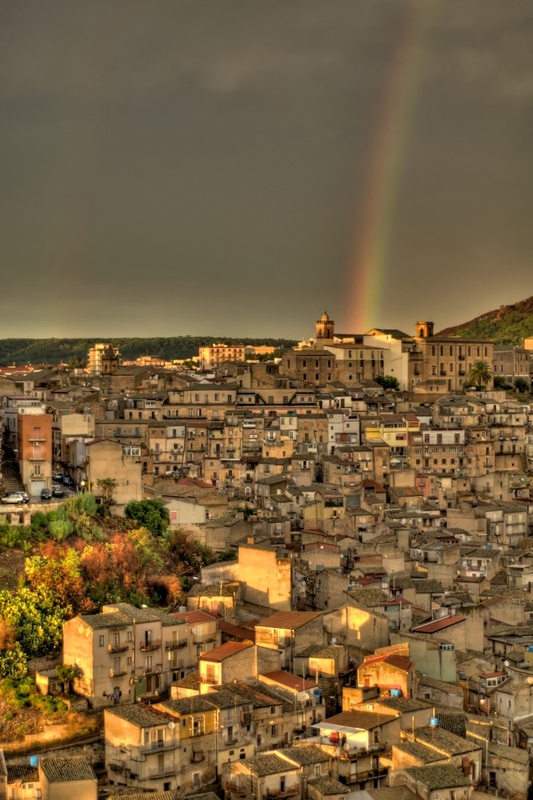 Click here to visit the Sicily Motherland Tour introduction. ISO 200 f/11 Nikkor 10-24mm @ 22mm. Stop #1: Scopello, a Stunning Hidden Mediterranean Gem. You may have gathered from my blog that I am an American expat currently living with my family in Switzerland. One of my goals while we are here is to bring my children to visit the places where their ancestors were born. I had two great grandparents that were born and lived in Sicily and came over to the United States by boat around 1913. My great-grandfather, Gaetano Turrisi, died when I was young. My great-grandmother, Grace (Fazio) Turrisi lived for over 100 years and luckily I had the ability to know her very well while I was growing up. Recently I had the opportunity to travel to Sicily with my family and visit their birthplaces. The following posts with be a photo-journey of our circumnavigation around the island. 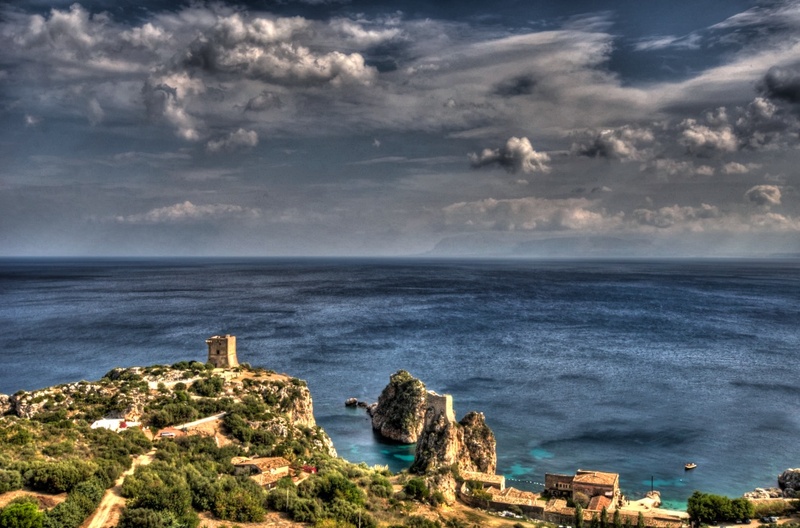 The first shot was taken in the tiny village of Scopello, about an hours drive counterclockwise from Palermo. The photo is the view of the bay and the Tonnara di Scopello, likely the only remaining evidence of the traditional Mediterranean tuna fishery industry. We happened to stumble upon this gem, and ended up spending hours here frolicking in the sun and warm sea. It was VERY difficult to ultimately leave and continue our drive to our next destination when it was finally time to head out. If you happen to be in the region, this is WELL worth a short lunch break. Photo is 3 handheld images bracketed at 2 stops, combined with Photomatix Pro. First, I want tho say that IT’S GREAT to be back. I have been “offline” for quite some time and have neglected this blog that I had come to enjoy so much. I had some pesky cervical spine discs that decided to herniate over the years, and finally they got the best of me. Pretty much anything, even computer time, became an unbearable “pain on the neck” (and back, shoulder, arm, and hand). Also, carrying a bag as light as a camera bag was too much. The offending discs have since been removed, and I now have three fused vertebrae in my neck to show for it all! I just got clearance to carry more that a few kg, so hopefully carrying the camera will keep me motivated to pick up again with the blog. 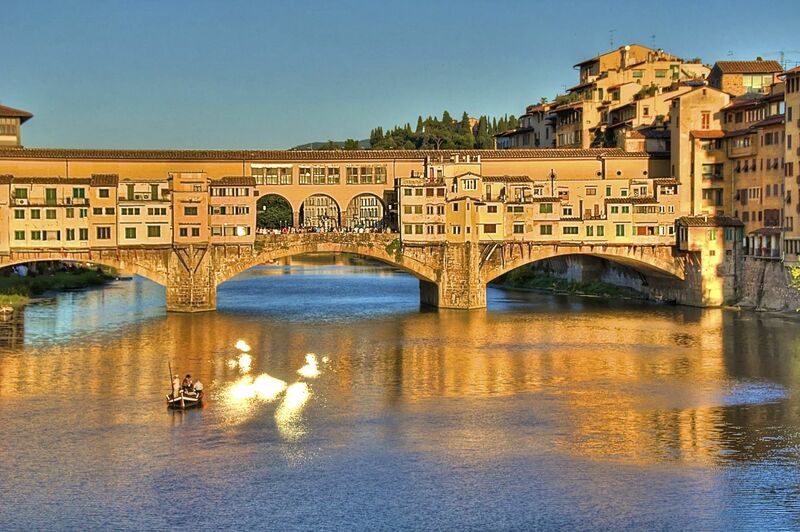 This is a shot of the Ponte Veccio Bridge over the River Arno in Firenze (Florence) Italy. My wife and I visited for a few days last summer, and had a fantastically fun and romantic trip to the “Cradle of the Renaissance “. As Rick Steve’s says, Florence is a “Super Market Sweep”, and the groceries are the best Renaissance art in Europe! (and home of Italy’s best gelato! ). I was most focused on a tour of as many Michelangelo’s works as I could see, which Florence hosts many. This is an HDR that I created from one source image. Three copies were created at 2 f-stops intervals, merged with Photomatix, and tuned in Aperture. I have been playing around recently with motion and lights, and what better time to experiment with lights than during the holiday season? This image was taken on Bahnhoffstrasse in Zurich. 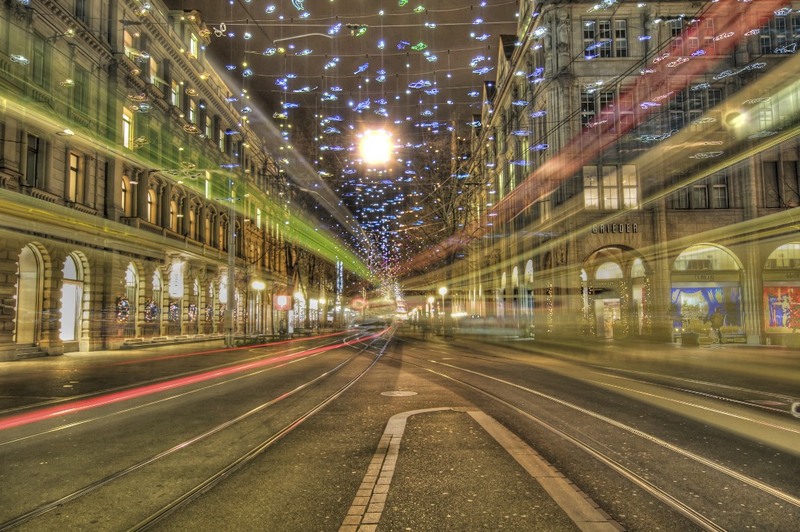 It is an HDR blend of two different images, each of which captured one of the trams. I merged the two and created the HDR with Photomatix. Slight color changes were made with Aperture. Please refer to the first “Stones and Cobbles in Provence, France” blog entry for a description of this series. This one is an HDR image from the Chateau de Cassis, high atop the cliffs in the French village of Cassis on the French Riviera. It was captured as 3 handheld images and merged with Photomatix Pro, then touched up with Aperture. See my blog entry “Monday Blues, French Riviera style…” to see a shot taken from the patio of this Chateau. 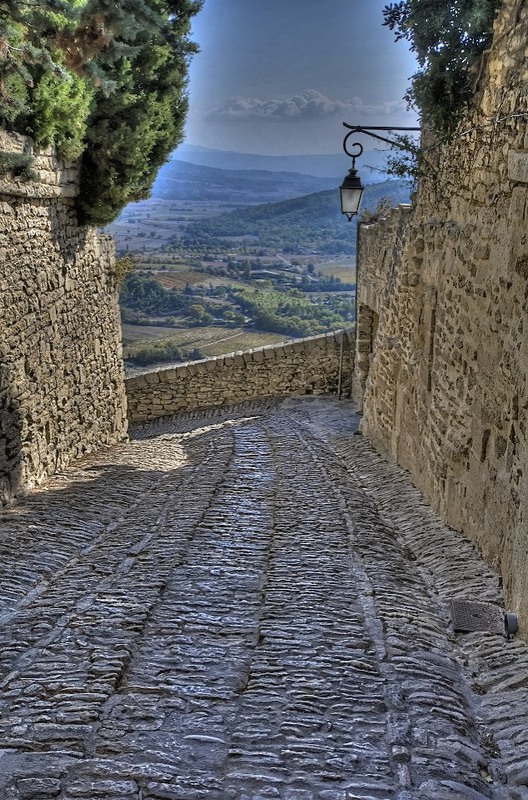 This one is an HDR image from the village of Gordes. It was captured as 3 handheld images and merged with Photomatix Pro, then touched up with Aperture. 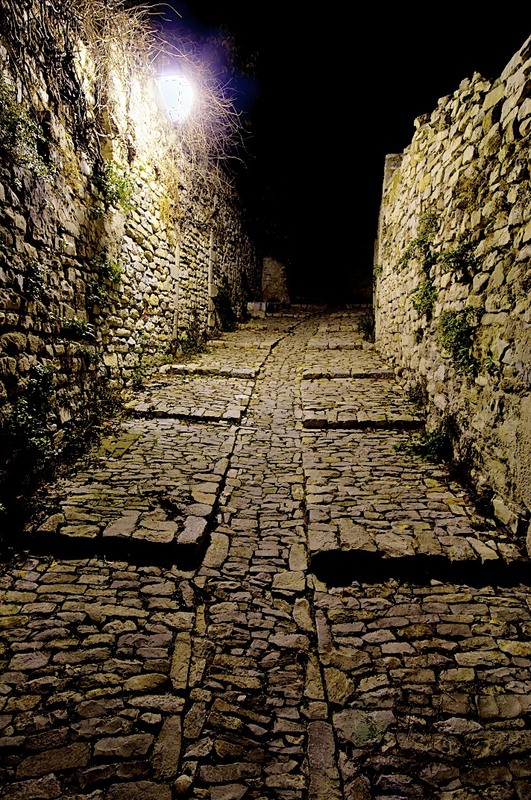 Please refer to the first “Stones and Cobbles in Provence, France” entry for a description of this series. 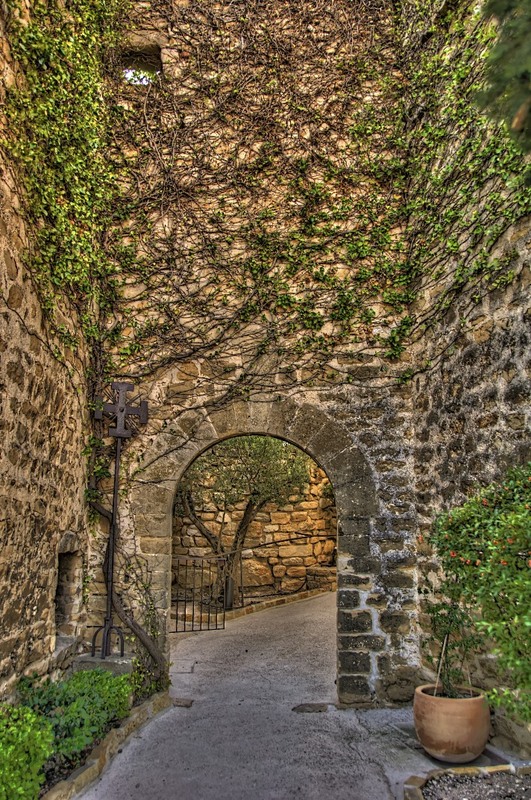 This image is an HDR from Vaison-la Romaine. Three images bracketed by 2 f-stops were captured with the help of a tripod. They were merged with Photomatix and tuned in Aperture. Thanks for visiting. Comments & questions are always welcome! Thanks for visiting my blog. please come back soon!